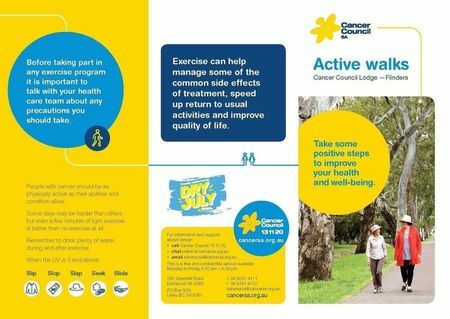 Sign up to Dry July Australia 2018 and raise funds for Cancer Council SA. Cancer never rests, so neither do we. That’s why we’re here for all South Australians affected by cancer every minute, every hour, every day. And tomorrow, with your help, we’ll start again. By fundraising through Dry July, you will be helping Cancer Council SA to continue providing life-changing support services for South Australians living with cancer. Every day, 27 South Australians have to say those three words to their families: ‘I have cancer’. Our support services ensure that no one goes through their cancer experience alone. We will be there if and when you need us, to offer information and support, a place to stay, counselling and practical assistance. 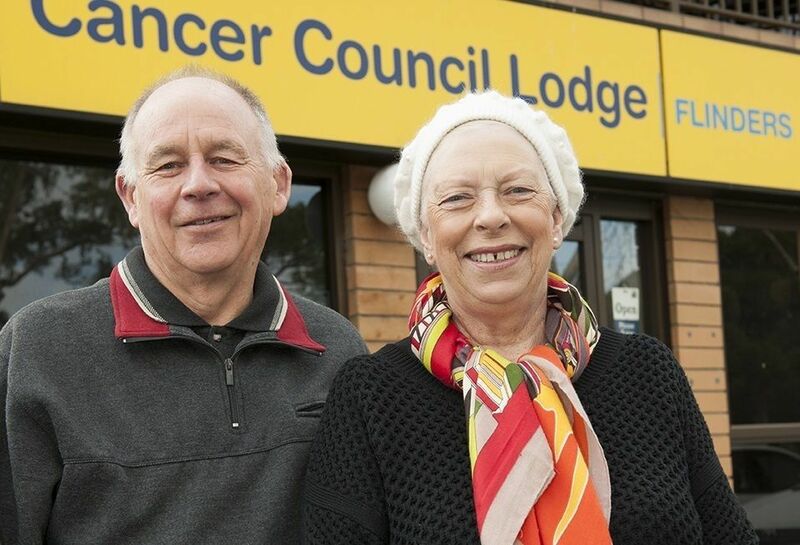 •	30,522 nights of accommodation to 8,979 guests at Cancer Council Lodges. •	13,191 guests transported to treatment centres •	14,085 affordable and nutritious meals served in the Cancer Council Lodge restaurants. •	2,834 guests attended Lodge morning teas, allowing them to connect with compassionate staff and guests. Cancer Council SA is now the only cancer charity in South Australia that works across all cancer types, supporting ALL South Australians impacted by cancer. Dry July is more than just giving up alcohol. Your decision to support Cancer Council SA for the month of July will mean a lifetime of support for people who need it. Thank you. We're proud to announce that Cancer Council SA has received a grant from the Dry July Foundation 2018 Grant Program. In early May, Brett Macdonald CEO of Dry July visited the Greenhills and Flinders lodges in Adelaide operated by Cancer Council SA. 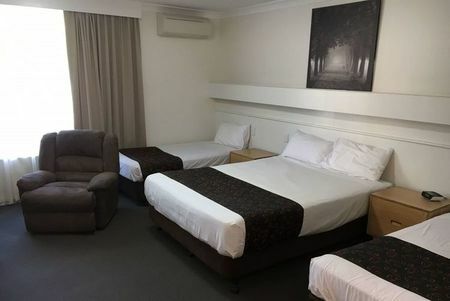 These are comfortable, complimentary facilities offering lodging for patients and their families who live in regional South Australia during their treatment in Adelaide. In 2004, Mount Gambier resident Dave Platt’s life changed forever when he was diagnosed with prostate cancer. The cancer had spread to his lymph glands and up into his seminal tubes and the doctors told him that if nothing was done, he would probably die in six months. “When I went to get my results and the specialist told me the news, I just could not believe what had happened. I was so gobsmacked I sat in my car and cried for an hour,” he explains. Dave had his prostate, lymph glands and seminal tube removed and began seven weeks of radiotherapy at St Andrew’s Hospital. Throughout his treatment, Dave stayed at the Cancer Council Lodges. In 2014, after 10 years in remission, Dave faced another setback. During a check-up, doctors found cancer in his spine, ribs and left ankle. In spite of his diagnosis, Dave has continued to remain positive and is taking one day at a time. Throughout his cancer journey, the lodges have been a constant support for Dave and his wife, Paula. “My message to other people suffering from cancer is to keep a positive mindset and don’t let it get you down if possible,” said Dave. Dave is just one of countless regional South Australians who have stayed in the Cancer Council SA Lodges at Greenhill and Flinders when they travel to Adelaide for treatment. In the last year alone more than 8,900 guests have stayed at the two dedicated locations. Cancer Council SA Chief Executive Lincoln Size explains how important fundraising events such as Dry July are in supporting Cancer Council SA to provide support services to people throughout their cancer journeys. Active Walks - Dry July Funds in action. 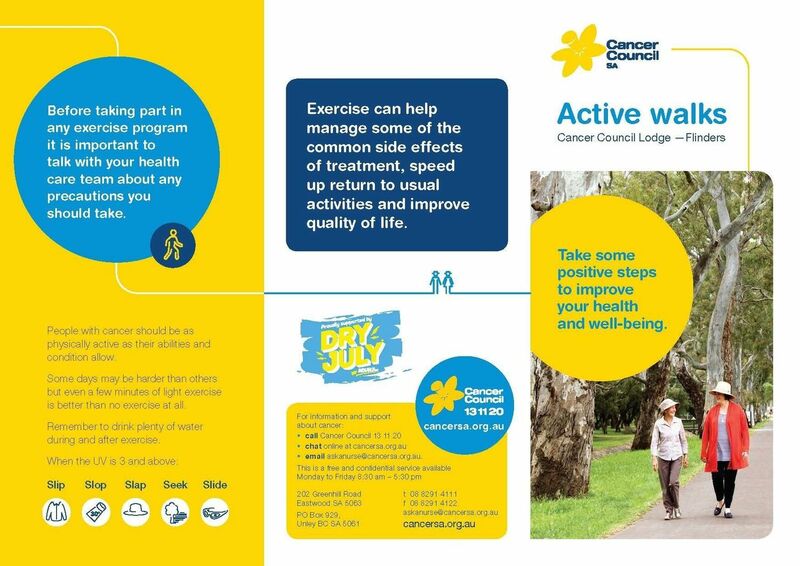 Cancer Council SA has received funding from Dry July funding to promote physical activity at Cancer Council SA Lodges. Each Lodge will have a series of walks that vary in distance to cater for the different physical capabilities of guests, and indicate the approximate time of the walk. Areas of interest surrounding the Lodges will be marked e.g. cafes, shopping areas, parkland walks to areas such as the Himeji gardens. Walk pamphlets will be available for all guests as self-guided walks where they can take the pamphlets and do the walk of their choice. We will also provide an option of organised guided walks with a volunteer walk guide. This is to encourage activity with a social aspect for guests and to address some fears expressed in the scoping report of guests not feeling confident to walk around an unfamiliar area on their own. Some walks will have a social focus of walking to a café, or Hutt St for more eating options, and some focus on pleasant surroundings in the neighbouring parklands with a destination such as the Himeji Gardens. The walks were piloted in April and will be launched in September. Launch packs will be put together as part of the walk and will include a pedometer, sunscreen along with walk promotional materials. We’ve helped ease the burden for country South Australians having cancer treatment. For someone living in country South Australia, the challenge of having cancer treatment in Adelaide may be overwhelming and some may be less likely to undertake or complete treatment, than people living in the city. Cancer Council Lodge provides these people with supportive and affordable accommodation while they are undergoing cancer treatment in Adelaide. The Dry July Foundation supporters have proudly provided Cancer Council Lodge with over $242,200 over the past two years. This has helped to refurbish the dining rooms in both lodges with furniture and refurbished over 15 rooms. For John and Janet Haywood, Kangaroo Island was an idyllic place to live, but when Janet was given a confronting cancer diagnosis requiring urgent treatment, their world was thrown into turmoil. Cancer Council Lodge not only solved many practical issues, but became their ‘home away from home’ during an exceptionally challenging time. Janet had always been blessed with perfect health. We were both “fit as Mallee bulls”, so when she was diagnosed with oesophageal cancer it knocked my socks off. She’d had no symptoms prior to that except for persistent reflux. In less than a week we saw doctors, specialists, and ended up in Adelaide for an urgent CT scan. We were given the devastating news that the cancer had spread to her stomach and Janet needed surgery and chemotherapy urgently. We didn’t know how long it would take but were overwhelmed when told it would be 63 days of chemo, two weeks rest, two weeks for the operation, another two weeks rest, and then another 63 days of chemo. Amidst the shock and the worry, my head was swimming with all of the logistics of leaving home for so long. I hoped to have at least a week to sort everything out. There was our new puppy to relocate and almost an acre of garden (Janet’s pride and joy) to care for, let alone organising accommodation, transport and everything else, but we had five days before Janet’s treatment would begin. We’re very close with our children, but couldn’t consider staying with them for such a long time, particularly as they were renovating and have small kids. At our daughter’s suggestion, we called Cancer Council SA and from the first conversation with Anne, the heavy load became lighter. During the 10 months that we stayed at Cancer Council Lodge, Janet endured intense therapy, made more confronting by the fact that she had an allergic reaction to one type of treatment and needed weekly monitoring in the oncology ward. In between the two rounds of chemo, she underwent surgery to remove her full stomach and part of her oesophagus. It was an intense, exhausting and emotional ride every day seeing my wife so unwell and being unable to control any of it. But it was made bearable by staying in such a compassionate environment. Janet was unable to go far, so we’d often sit in the foyer and enjoy the companionship of the staff, including Anne and Faye in reception, Ravi who manages the properties and Jo who provided counselling. I was so busy concentrating on Janet during this time that I probably wouldn’t have sought out counselling for myself. Having that service at the Lodge gave me the opportunity to deal with my own emotions and got me through some tough times. The transport service to and from the hospital was worth a million bucks. It was also a relief (and big saving) not having to worry about parking in the city for the treatments. Having our own space was invaluable. It was therapeutic to have the ‘normality’ of being able to cook ourselves meals and on the rare occasion that we didn’t, the chefs in the Lodge cooked lovely meals and catered where possible for Janet’s new dietary needs. I also kept myself busy, helping out with making up the rooms, planting bulbs and doing maintenance in the garden. Doing these things helped me to feel normal, during such a surreal time. Despite a few complications since, Janet’s prognosis is excellent and there are no signs of anything else nasty. I can’t imagine how we would have got through those 10 intense months without the option of staying at the Lodge. With living expenses and the cost of treatment and Janet’s operation, we couldn’t have stayed in a hotel for 10 months and having this option reduced our distress greatly. Above all, you couldn’t put a price on the supportive environment, and whenever we’re back in Adelaide we always pop in to say hi. Cancer Council Lodge played a huge role in helping us get through the treatment that has ultimately given me more time with my beautiful wife.